Radish sandwiches all day, everyday. That’s basically what’s been happening in my life since the delightfully colored roots started appearing at the Greenmarket a few weeks back. I like my radishes sliced thin on buttered toast but, despite butter being #1 on my favorite food list, there is only so much butter I can consume in a day. 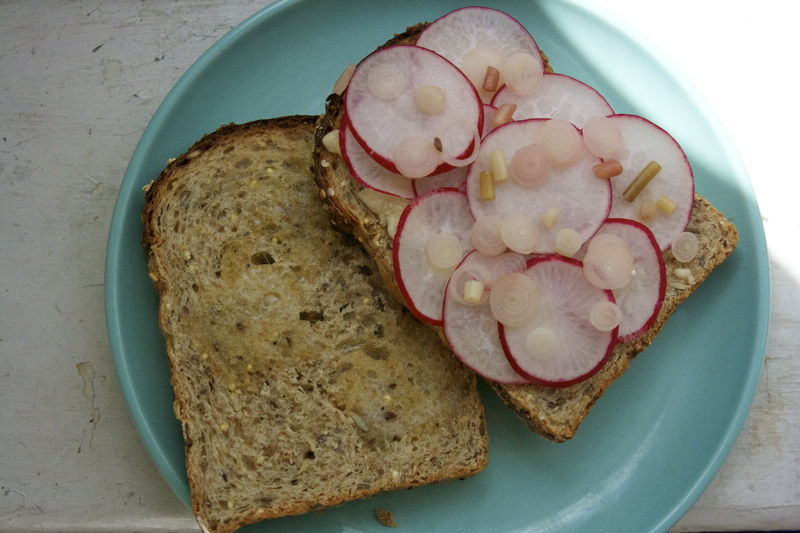 So, to keep things lively, I’ve started experimenting with my radish sandwich addiction. The following sandwich is a variation on what has become a close second to the toast-and-butter combo, and much heartier to boot. 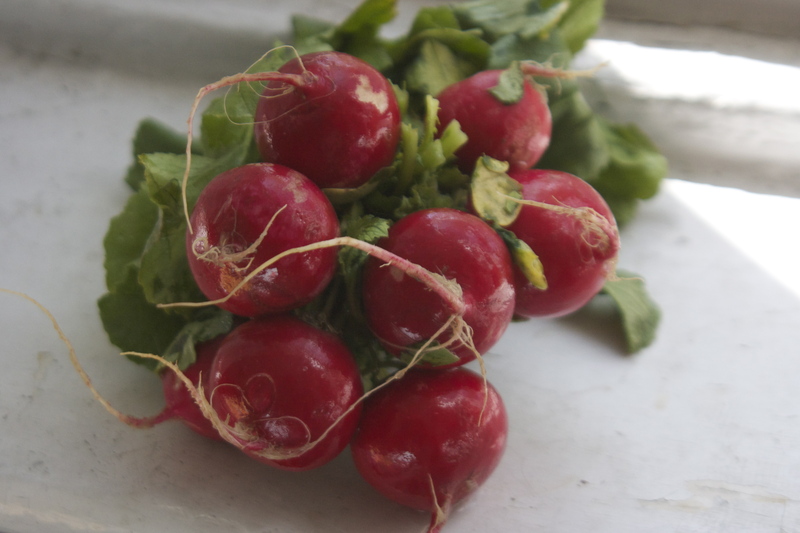 The combinations of peppery radishes and the tart and fruity Harbourne Blue is definitely a winner. 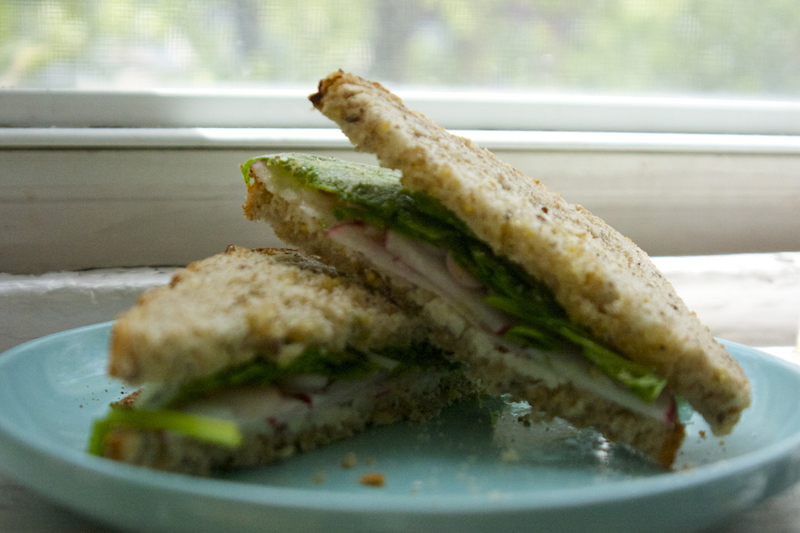 Throw in some tangy pickles and a handful of greens and you’ve got a complex, but light Springtime sandwich. A note on Harbourne Blue: this cheese is pretty hard to come by. We’ve had it in stock three times in the time I’ve spent behind the cheese counter at Bedford, and every time it has sold out rapidly. Harbourne comes from a small dairy in Devon called Ticklemore Cheese. There, Robin Congdon has been making cheese for over 30 years. Congdon sources his milk from local farms and currently makes three distinctive blue cheeses: the cow’s milk Devon Blue, the sheep’s milk Beenleigh Blue, and (my favorite) the goat’s milk Harbourne. This cheese has plenty of goat-y buck with a balanced sweet-tartness that lingers on the palate spectacularly. Harbourne is the only goat’s milk blue currently being produced in the UK and the only exporter for the cheese is Neal’s Yard Dairy. I love this cheese, and I encourage you to ask about it at your local cheese shop. It’s oh-so-worth it, promise. If you can’t find Harbourne, try subbing in your favorite fruity blue. I’m partial the any of the beautiful selections from Rogue River Creamery in Oregon, especially their goat-and-cow blend Echo Mountain. This would also be equally delicious with any super-bucky, fresh goat cheese. 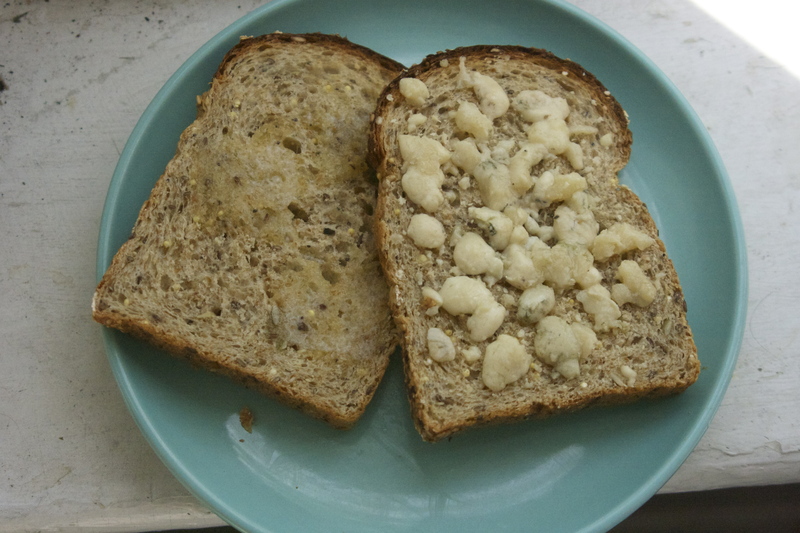 Evenly distribute cheese on slices of bread and place in oven at 250º. Bake until cheese begins to melt and bread is toasted. Layer radishes, ramps, and spinach onto bread. Season to taste with salt and pepper and top with remaining bread. *I know my pictures show cheese on only one slice of the bread. I later decided this was a mistake because there was nothing to hold the other side in place. So, then I put a bunch of butter on the naked slice. I am a glutton and I LOVE BUTTER. In a non-reactive pot, bring water and vinegar to a boil. Remove from heat and add sugar and salt, stirring to dissolve. 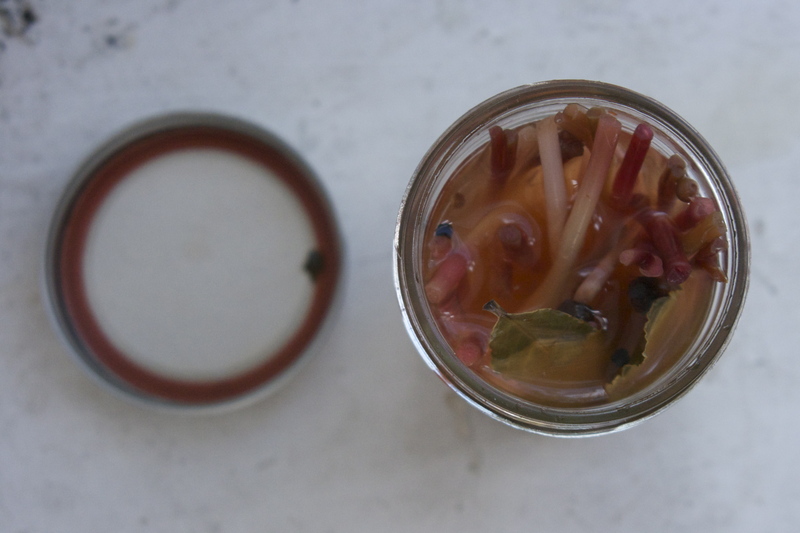 Add ramps, garlic, and spices to a sterilized 1/2 pint jar. Pour prepared brine over ramps. Cover and let cool to room temperature. Once cool, refrigerate for at least one week before enjoying. 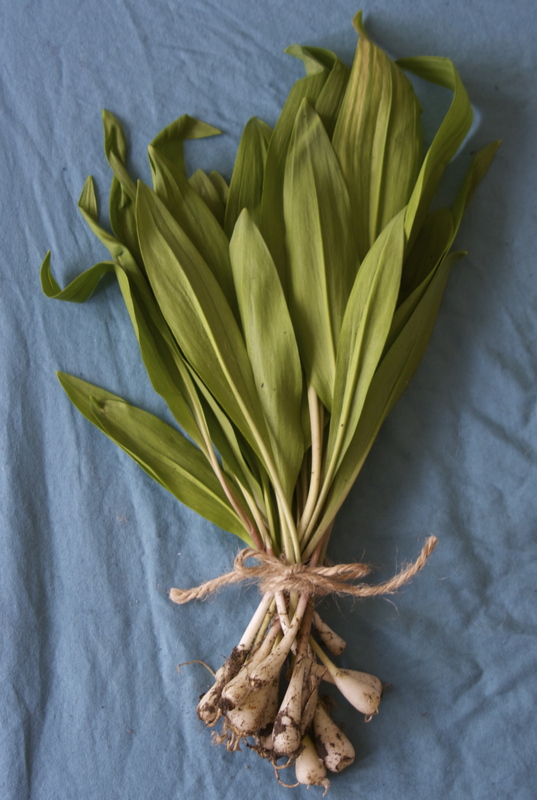 Ramps will keep, after opening, in the fridge for about a month. Just found your blog last night on the Bedford Cheese Shop website, and hit the store and Union Square Greenmarket between seeing patients in order to make this sandwich that I just devoured! Yum! My teenage daughter tried a bite and loved it, too. Thanks for a terrific blog–and sandwich! I’m so glad you liked it! Thanks for stopping by, Diane!